Home » News » New Orleans Jazzfest – x’s 2! You can catch Yvette twice at the 50th annual New Orleans Jazz and Heritage Festival. First, on April 26, 2019, you can find Yvette in the Kid’s tent, providing entertainment for all ages including songs, stories, and sign language. 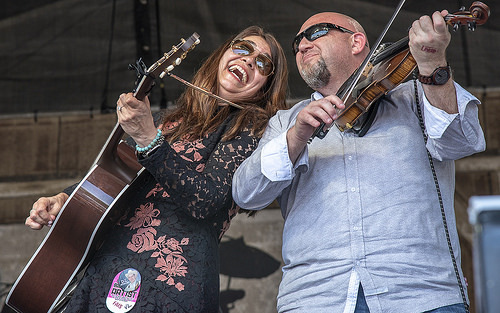 Then on Sunday, May 5, 2019, Yvette Landry & The Jukes will be making their first appearance on the Fais Do Do stage. Although members of “The Jukes” have graced Jazzfest stages for many years, this new configuration will be taking their maiden voyage.